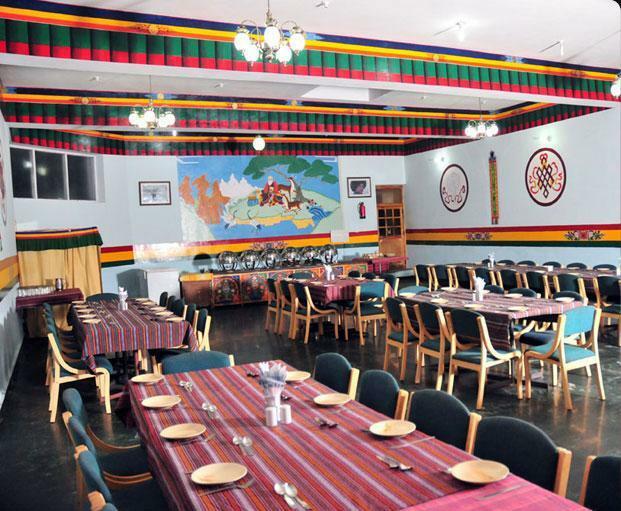 Hotel Mandala is a budget property located in the city of Leh. The hotel is located at the distance of the 6 km from Leh Airport, 11 km from Bus Stand LBOC Ltd Leh. Famous excursions like Spituk Gompa (5 km), Shanti Stupa (13 km), Leh Palace (13 km), Namgyal Tsemo Gompa (15 km) and Stok Palace (19 k m) are nearby sightseeing places to the property that guests can visit in their free time. Quietly elegant and exclusive the property facilitates services like front desk, room service, assistance of doctor on request and many more. Airport Transportation, Family/Child Friendly, Room Service, Travel Counter, Front Desk, Backup Generator, Doctor on Call, Restaurant, Major Credit Card Accepted, Taxi Service. Luggage Rack, Cable/Satellite TV, Bottled Water in Room, Complimentary Newspaper, Telephone, Desk, Complimentary Toiletries, Attached Bathroom, Shower Caps, H/C Water. Doctor on Call, Laundry Facilities, Restaurant, Room Service, Bar. User reviews for "Mandala Hotel Leh"